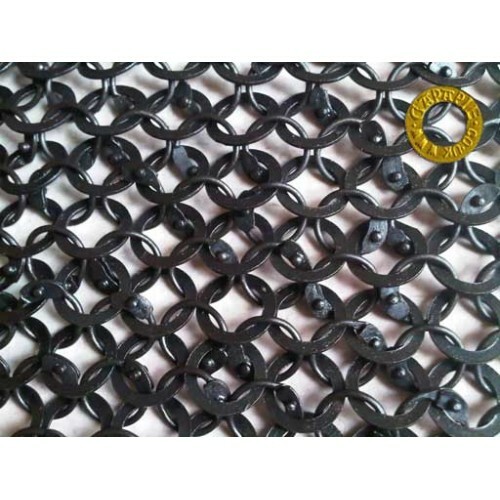 European 4-1 Weave - One Round Ring with Round Rivets to four Solid Flat Rings. Constructed in mild steel with a ring size of 9mm Internal Diameter. Select the images to see the example of a C15th shirt at Warwel Castle in Poland. 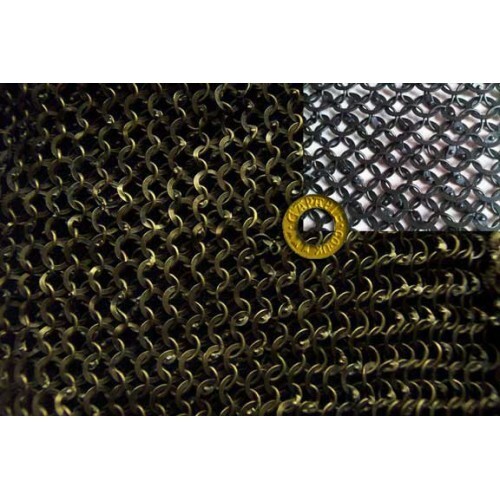 Our maille is shown as an inset on this image. 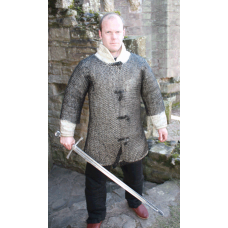 Do you have any questions about Round Riveted Haubergeon 48"?